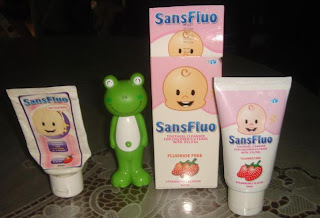 My B finally finish off a small tube of Sansflou toothpaste after 8 months of using and now its time to have another one. Yep! the small tube lasted that long for I only give him half of the recommended "small pea-sized" amount. I have tried several kiddie toothpaste but he never really like its fruity taste, until I tried this one. Its a toothgel cleanser for children 0-6 years and it comes in orange and strawberry flavor. Its a perfect choice for me, its all in: No artificial coloring, non foaming, no harmful preservatives and safe to swallow. B really loves brushing with this one coz of its natural taste. oh yeah! 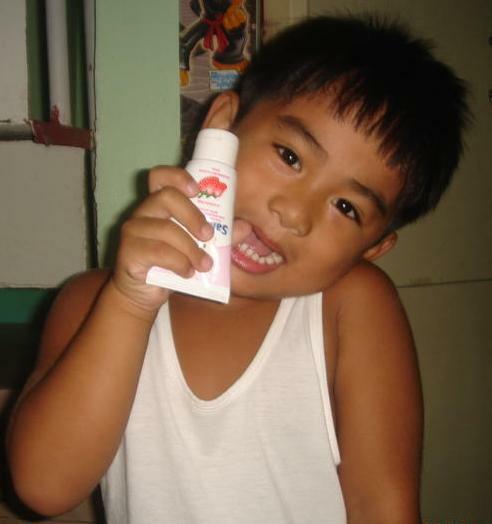 i remember when my children were still very young, they have their own toothpaste so that they wont hate brushing, lol! Yeah. This is a good product because kids are more sensitive than adults. Hi! 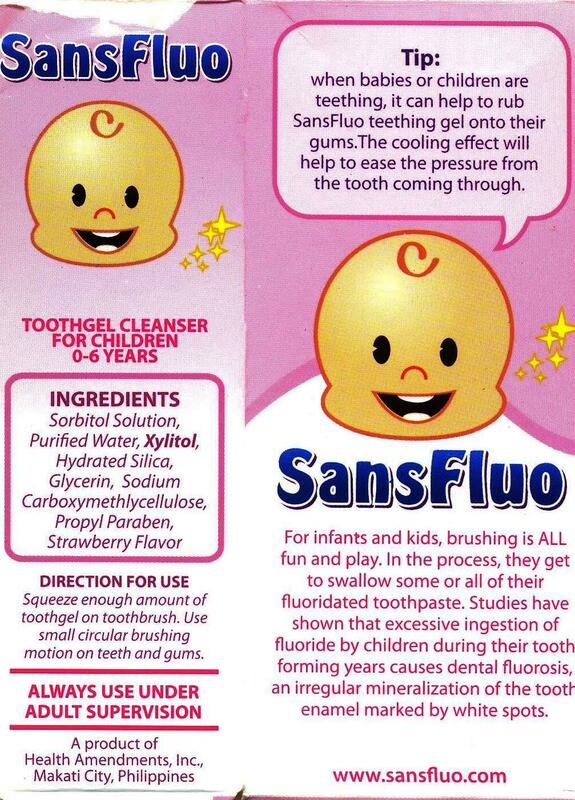 my son used sansfluo too! ;-D it makes brushing fun.